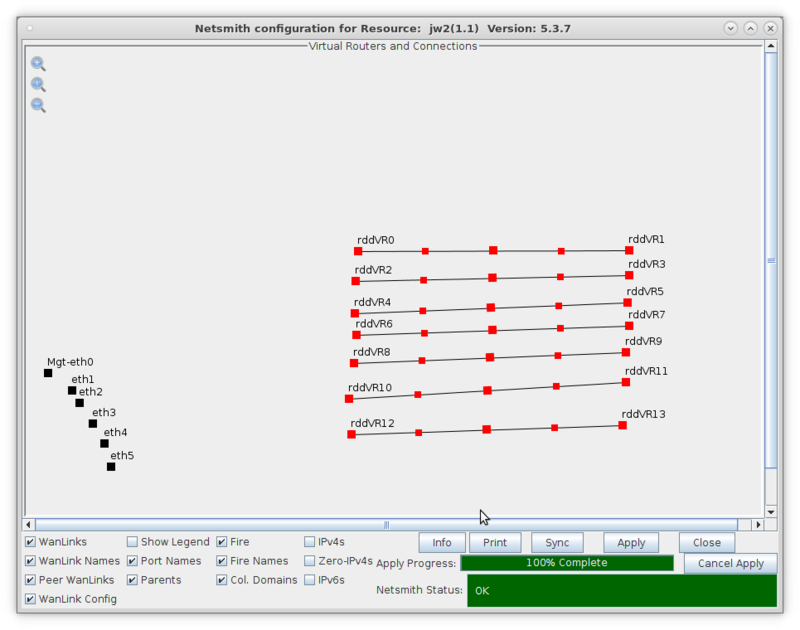 Goal: Emulate the behavior of five Layer-2 Switches connected together for traffic fail-over testing. 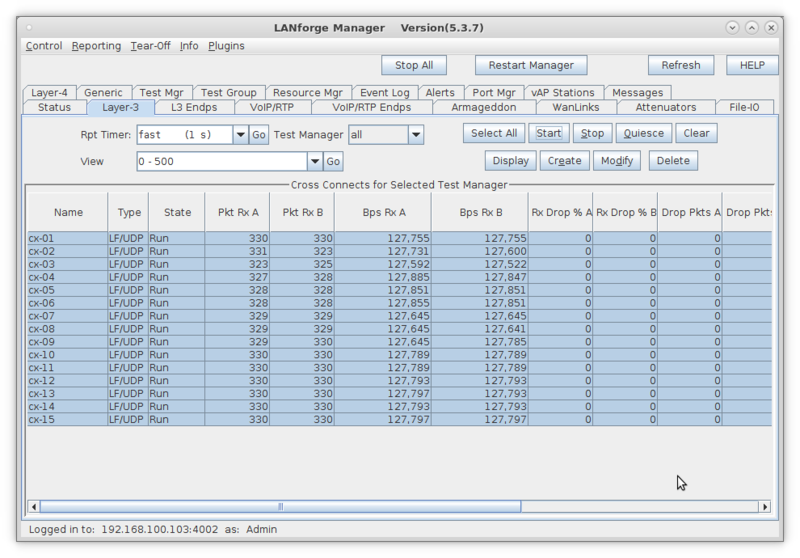 In this test scenario, the function of several layer-2 switches will be emulated using multiple LANforge Bridge devices with Spanning Tree Protocol (STP) so that each bridge can be connected to at least two others and fail-over tests can be demonstrated. 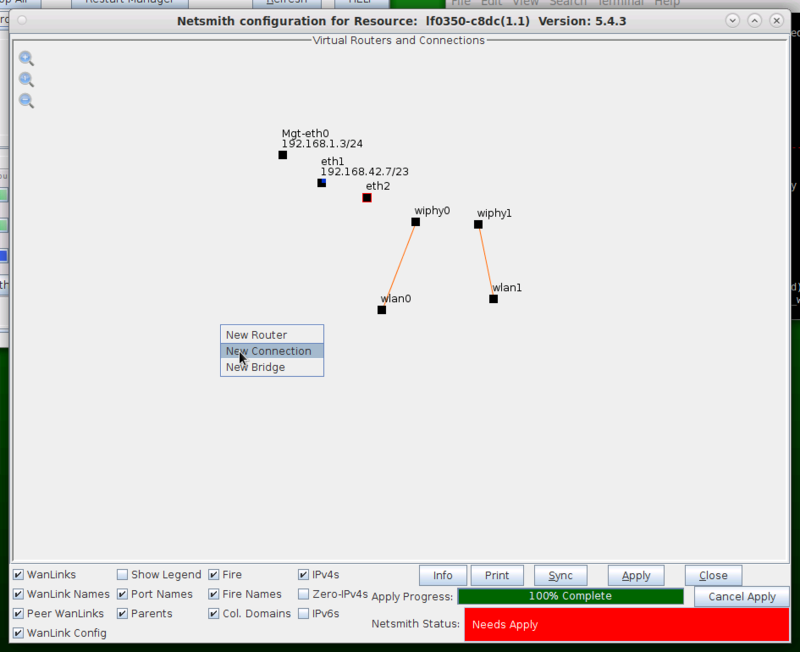 Accept defaults Auto Create everything then click OK.
Move the WanLinks into their desired positions. 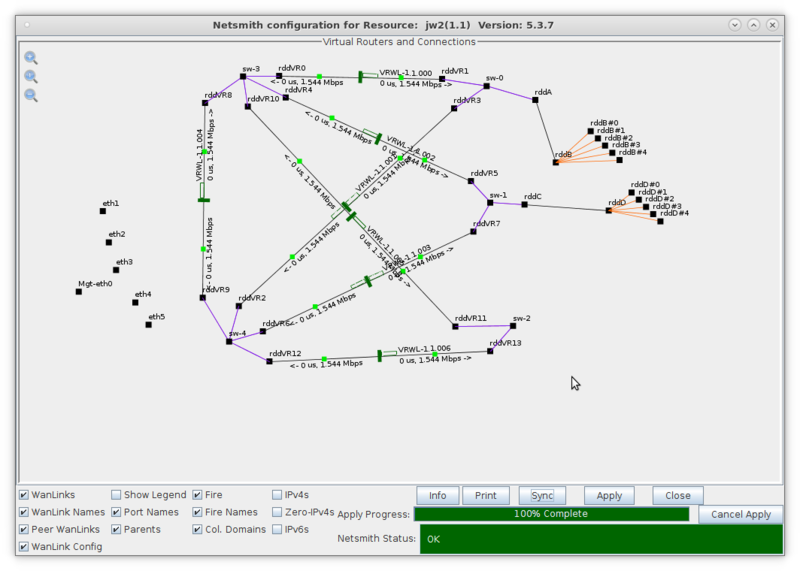 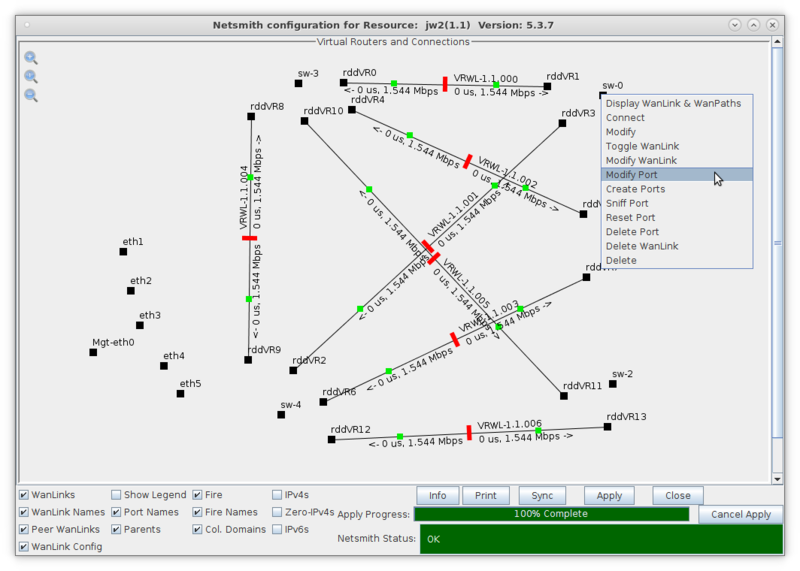 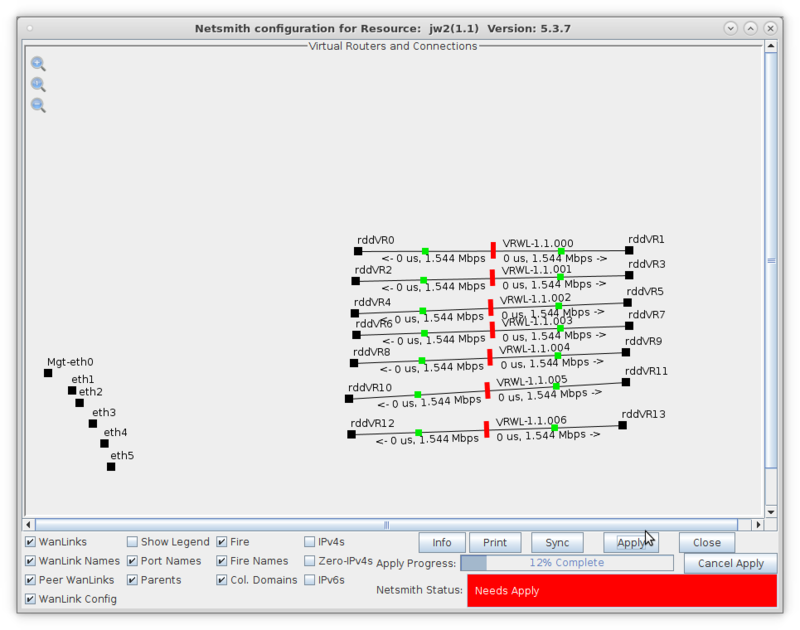 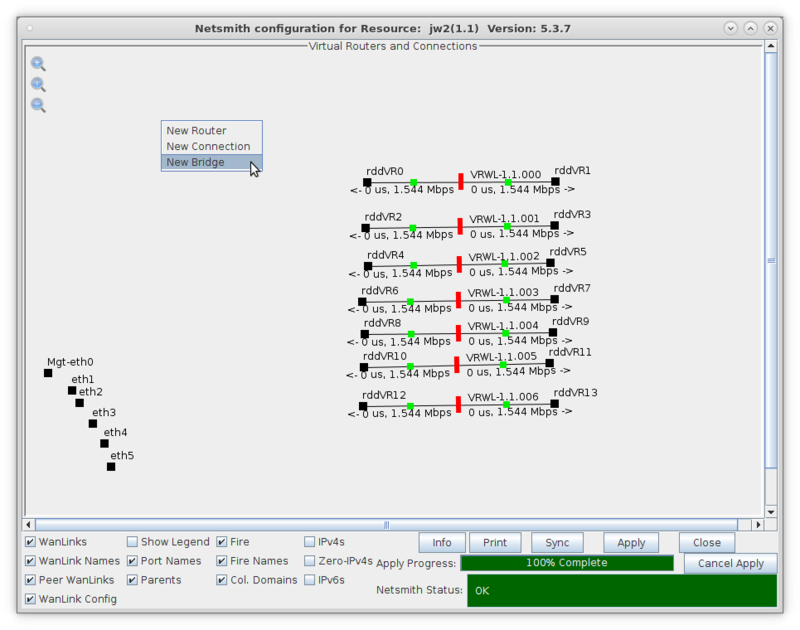 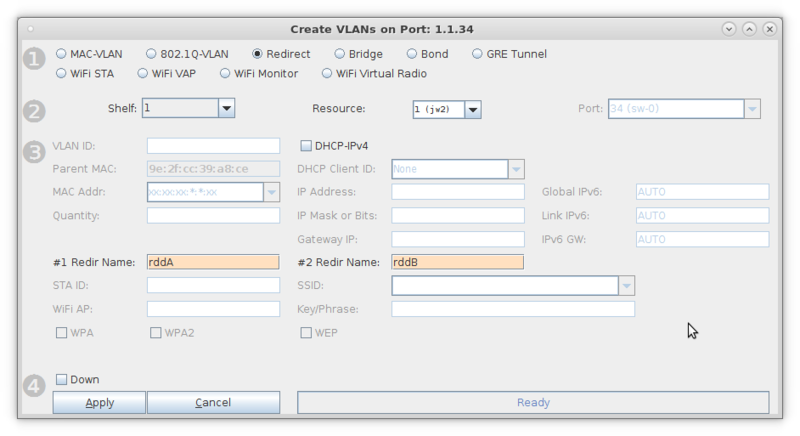 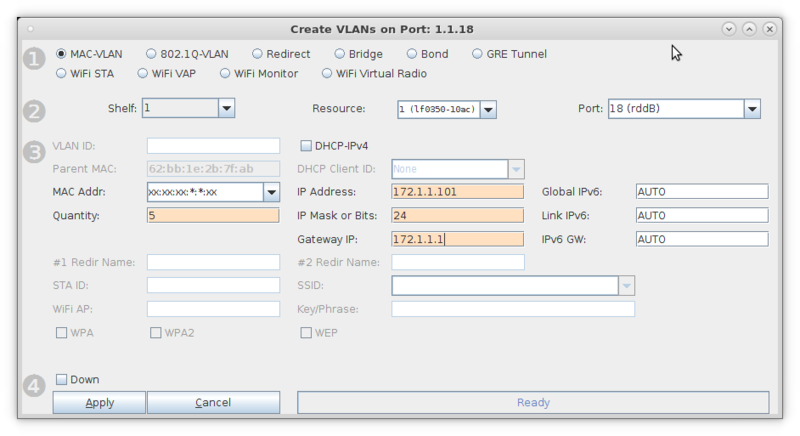 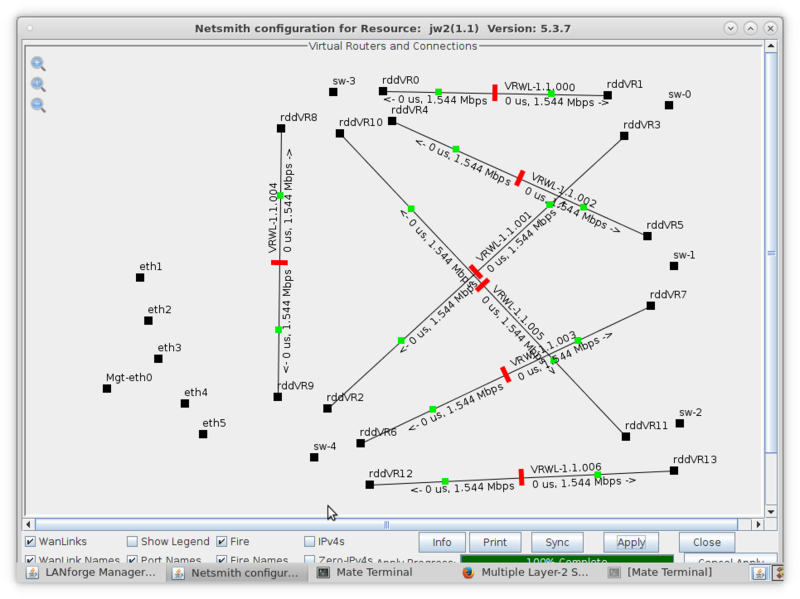 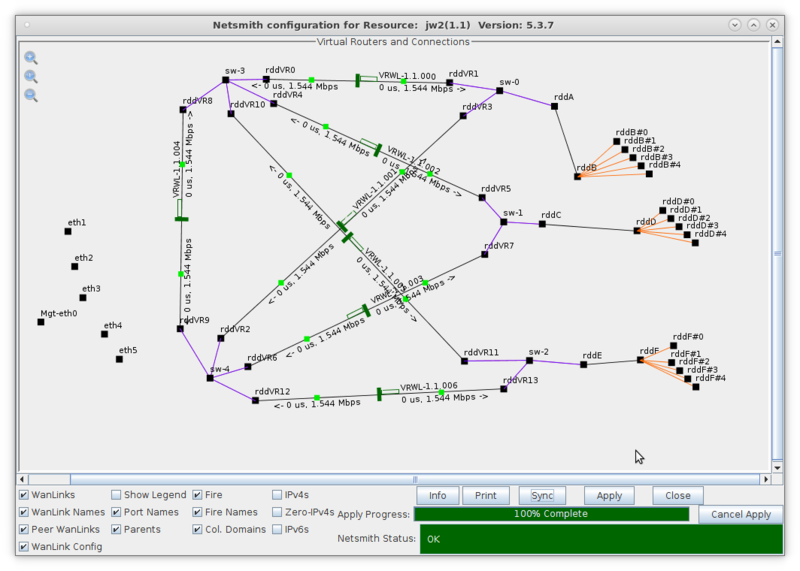 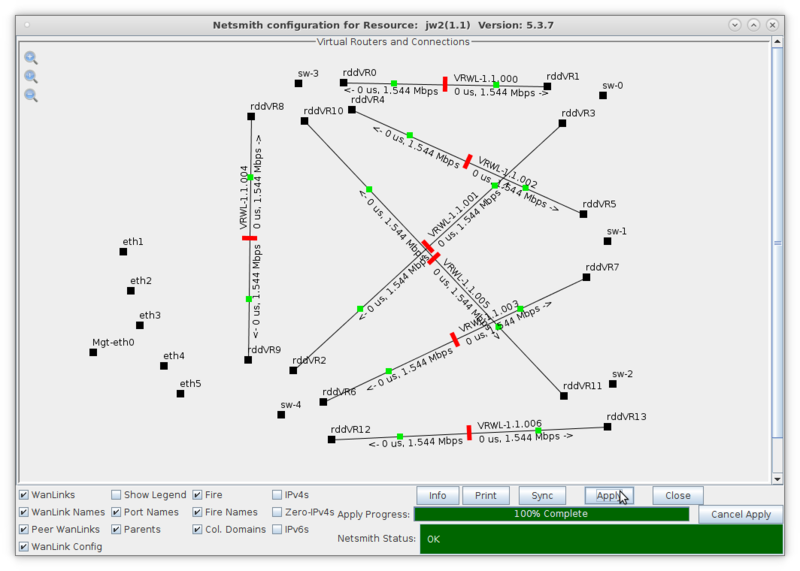 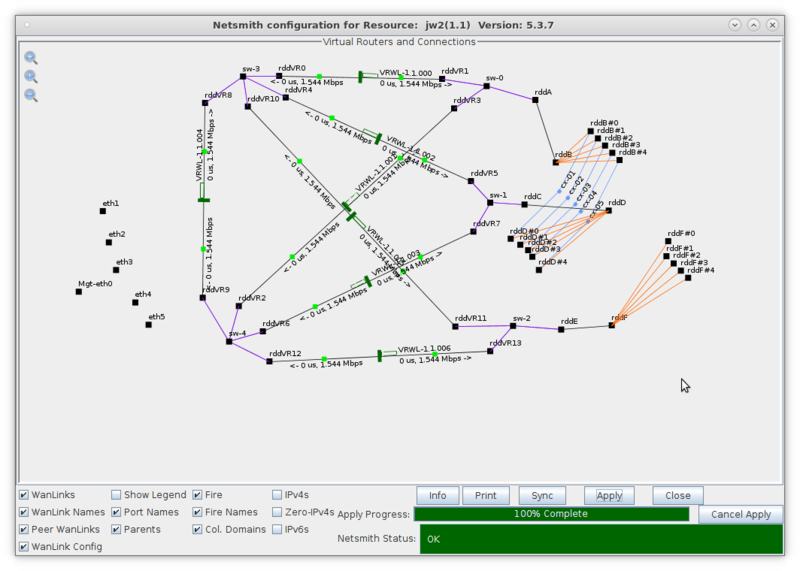 Modify each Bridge to enable Spanning Tree Protocol (STP) and add Bridge Members. 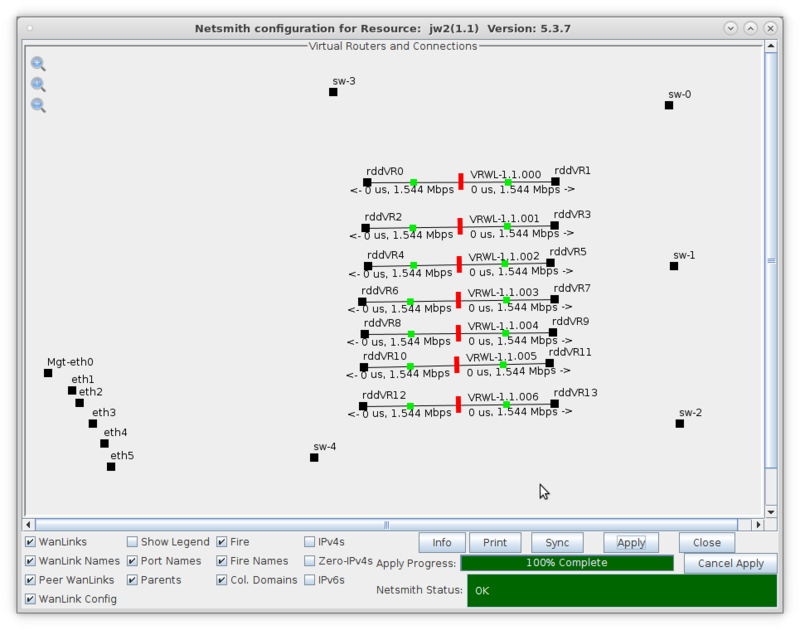 Create virtual interfaces for traffic generation and fail-over tests.